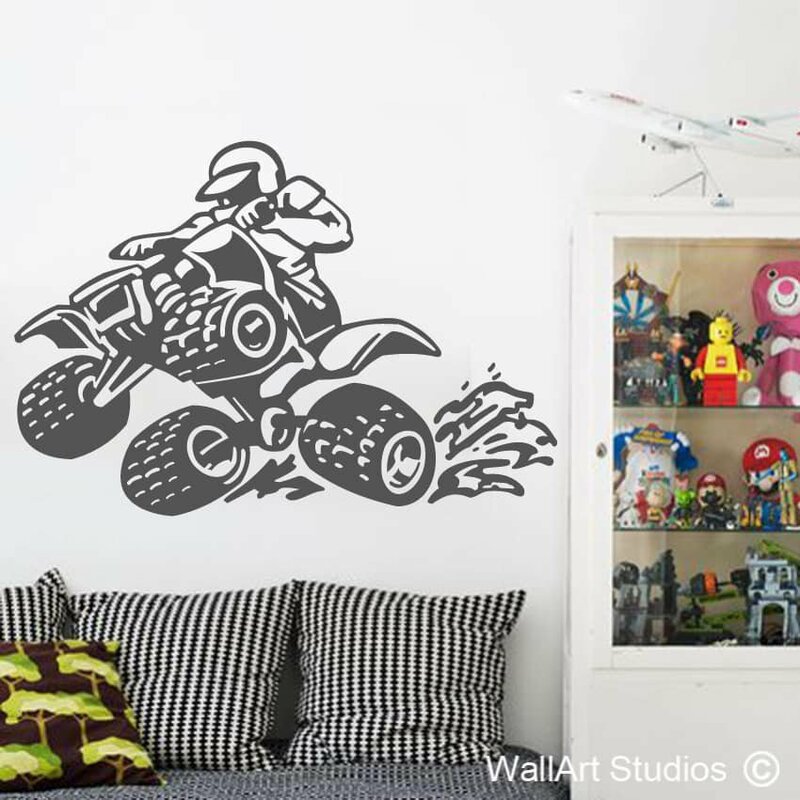 Our “Skater Boyz” wall art decal is a huge hit amongst teenage boys and girls with a passion for skating. 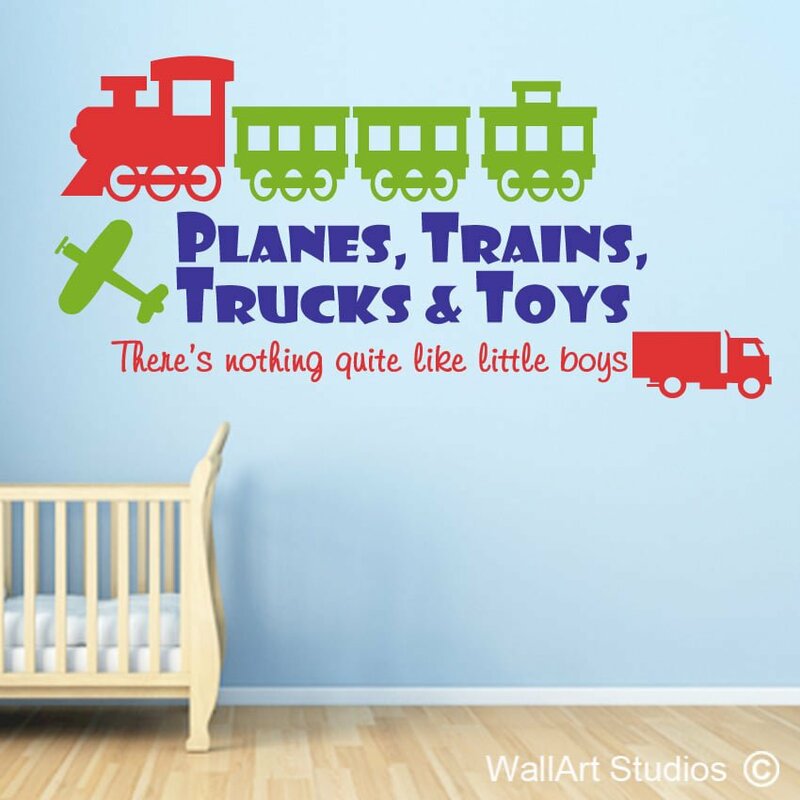 As such, it’s awesome idea for a birthday, Christmas or anytime gift that will brighten and liven up their bedroom, playroom or entertainment room space. 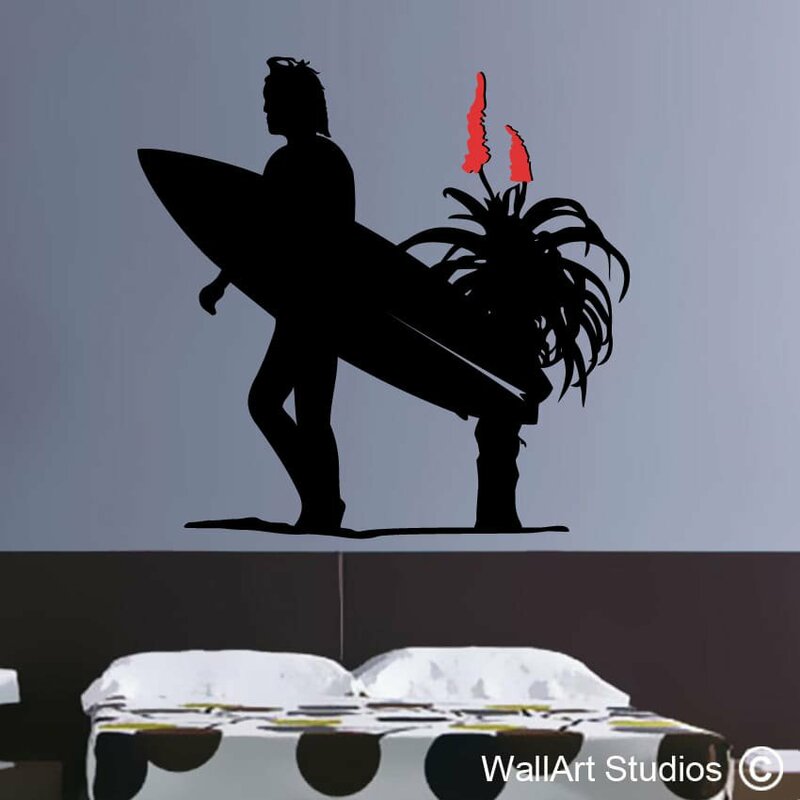 Alternatively, if you manage or own a sports-themed retail store or skate/surf shop, this wall art sticker would make for a dynamic and fun design embellishment for the walls of your store. 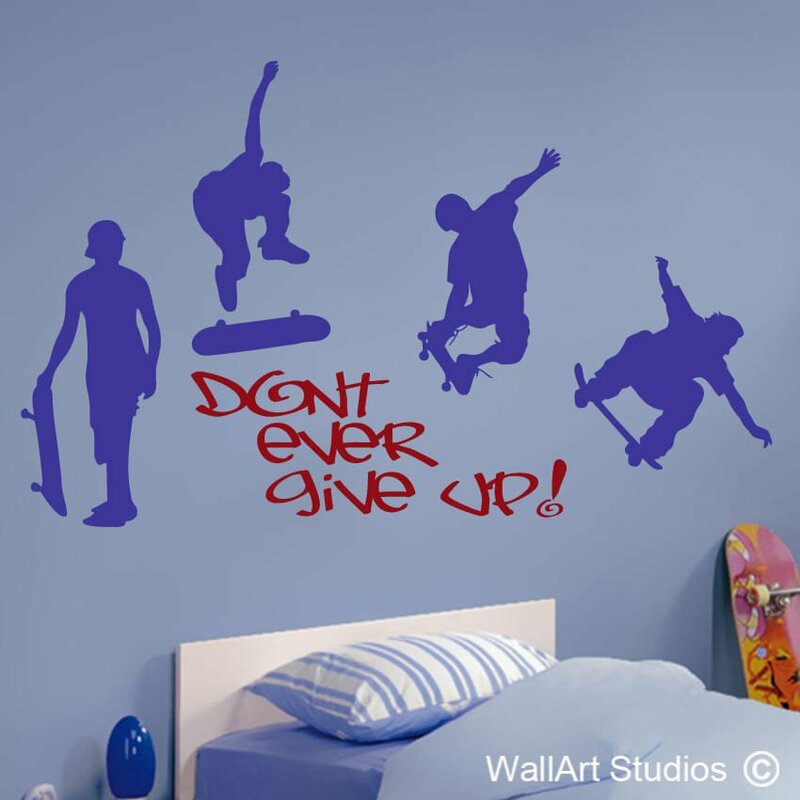 “Skater Boyz” is available in one of three sizes and in a great variety of colours, which you can personalize to suit your space’s existing colour theme. Simply play around with our palette tool to choose a colour for the text and another for the skaters. SKU: KB1. 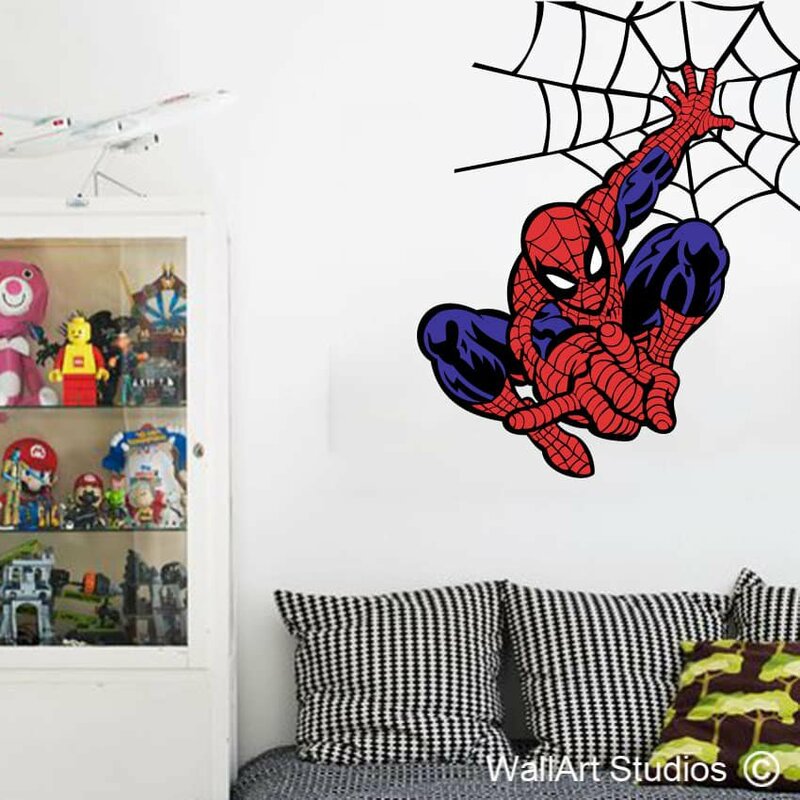 Category: Boys Wall Art.